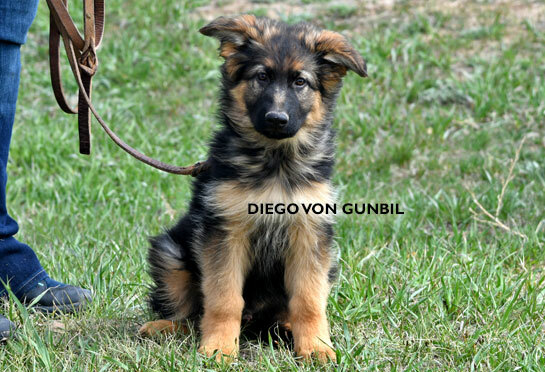 Diego, Confident, reassured character, strong masculine body type, great with other animals, Loves children. Will make a great family pet,loyal and protective. Loves car rides, does very well in a heavily traffic areas. Very good with natural protective instinct as well! Excellent anatomy, ideal type, expressive, Friendly nature, very intelligent, stable nerves, sound temperament (Clear in the head) character. Outstanding natural ability to protect his family, excellent with other dogs, loyal, with ready to please ready to play attitude! Safe in Nature. Pedigree is consistent of multiple world champions, Grandson to SG1/VA1 Zamp vom thermodos (Twice World champion). Diego, is trained in a family home environment. 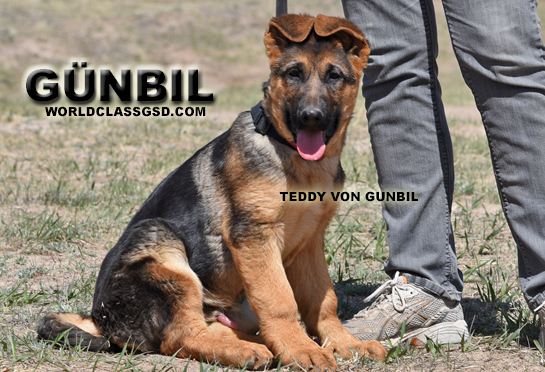 Potty trained (bell training), crate trained, does very well in basic obedience. Friendly to other dogs, including animals. Walks very well on a leash, up and down stairs, accustomed to tile, hardwood and carpet surfaces, enjoys car rides. Loves children and plays well with other puppies. Should do well in any endeavor. 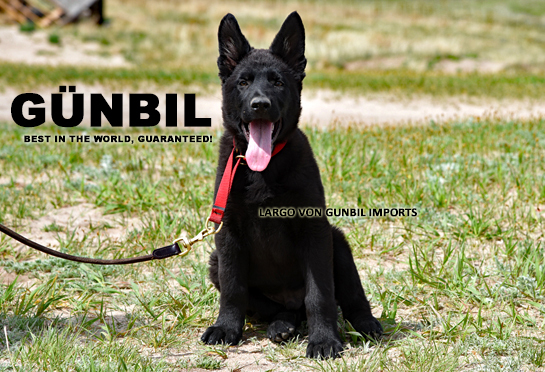 Your puppy come with a FIVE year "Genetic Health" & "Tempermant" Guarantee! 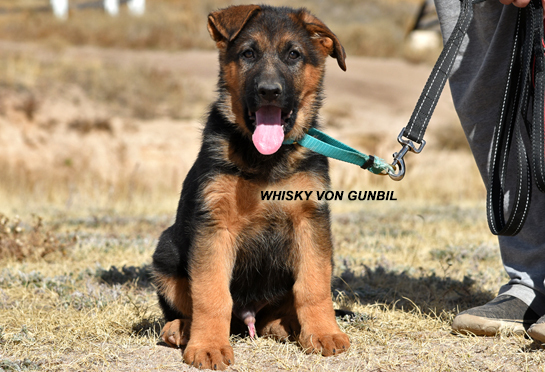 Whisky, is an ideal dog for the show ring, breeding and naturally family. 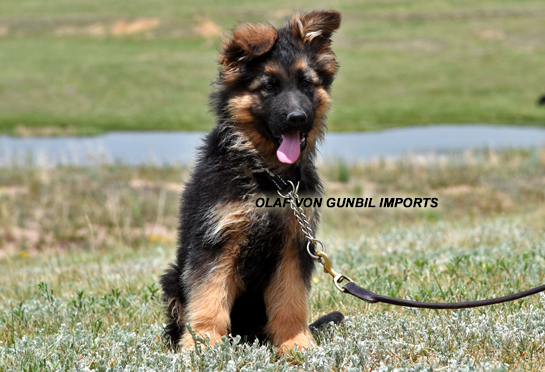 Very good drive, excellent alertness, sharp and confident puppy with self-assured character! Exemplary anatomy, ideal type, very expressive with straight coming and going gait. Friendly nature, outgoing, super intelligent, stable nerves, sound temperament (Clear in the head) character. Outstanding natural ability to protect his family, excellent with other dogs, loyal, with ready to please ready to play attitude! Pedigree is consistent of multiple world champions, Grandson to SG1/VA1 Zamp vom thermodos (Twice World champion). Whisky, will make you proud with his apperance and overall type, will thrive in any endeavor - Safe in Nature. Whisky, is trained in a family home environment. 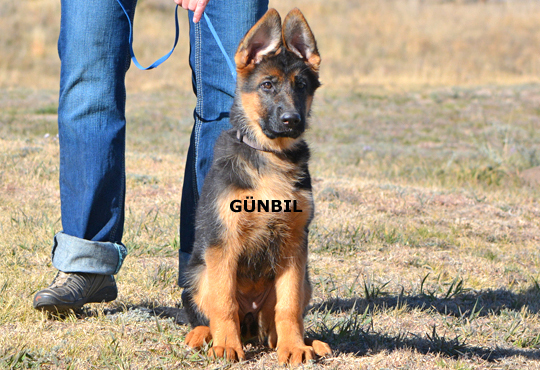 Potty trained (bell training), crate trained, does very well in basic obedience. Friendly to other dogs, including animals. Walks very well on a leash, up and down stairs, accustomed to tile, hardwood and carpet surfaces, enjoys car rides. Loves children and plays well with other puppies. Should do well in any endeavor. 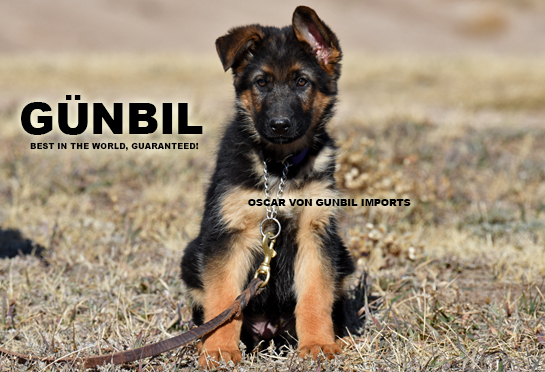 Your puppy come with a FIVE year "Genetic Health" & "Tempermant" Guarantee! 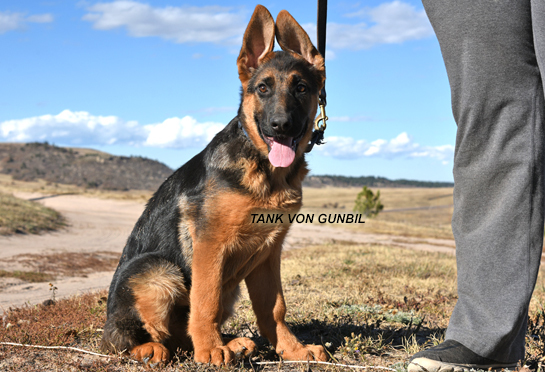 Tank, is an ideal dog for show with very good drive, superior over-all type with excellent healthy pedigree, Straight coming and going, excellent liquid gait. Pedigree is consistent of multiple world champions, Grandson to SG1/VA1 Zamp vom thermodos (Twice World champion). Black and Red rich pigment. 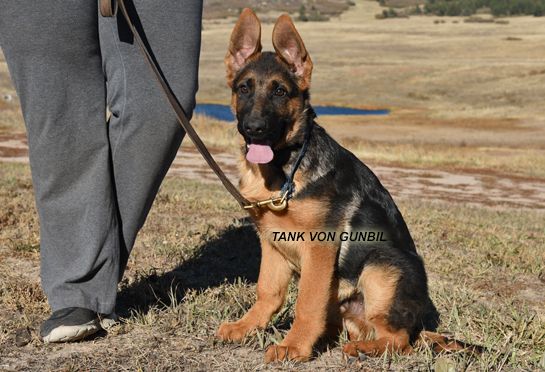 Tank, is absolutely "Clear in the Head", stable nerves, super temperament! Excellent with children and in home environment. He'll do "very" well in any endeavor and will excel in a family environment! Excellent natural ability to protect her family with stable nerves. Friendly nature, outgoing, self-assured, inteligent. A SUPERIOR family dog, Loyal and loves children! Tank, is trained in a family home environment. Potty trained (bell training), crate trained, does very well in basic obedience. Friendly to other dogs, including animals. Walks very well on a leash, up and down stairs, accustomed to tile, hardwood and carpet surfaces, enjoys car rides. Loves children and plays well with other puppies. Should do well in any endeavor. 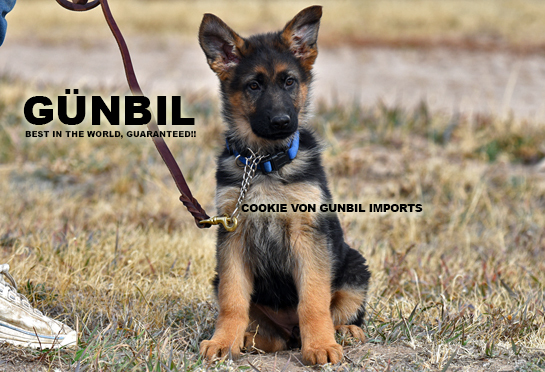 Your puppy come with a FIVE year "Genetic Health" & "Tempermant" Guarantee! North, superior character, self assured, playful, confident, sharp, very alert, fun dog, friendly, ready to please and ready to play attitude! Loves his family and naturally children - plays well with other puppies. North, is intelligent, loves to impress his owner! Healthy with world caliber working line pedigree! Today's champions!! Great natural abilty to protect his family with good prey drive. Excellent family dog! Loyal and loves children, plays well with other puppies. Should do well in any endeavor. Pedigree is consistent of multiple world champion Working line dogs, Fully titled, IPO3/FH2, Best in the world! 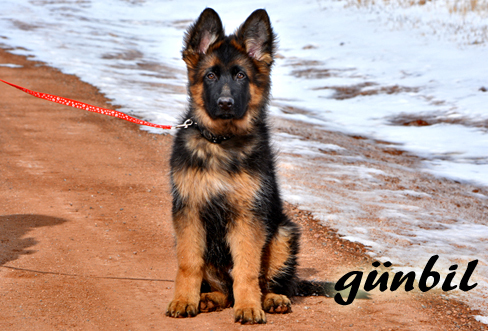 Your puppy come with a FIVE year "Genetic Health" & "Tempermant" Guarantee! Salsa, is an ideal family dog, strong, masculine body structure with excellent drive, correct anatomy (type), very friendly and super confident, outgoing, very smart with stable nerves, sound temperament (Clear in the head) very confident, self assured character, nicely pigmented, Superior head, dark eyes, ready to please and ready to play attitude! He will excel in a family environment! Good natural ability to protect his family with good prey drive. 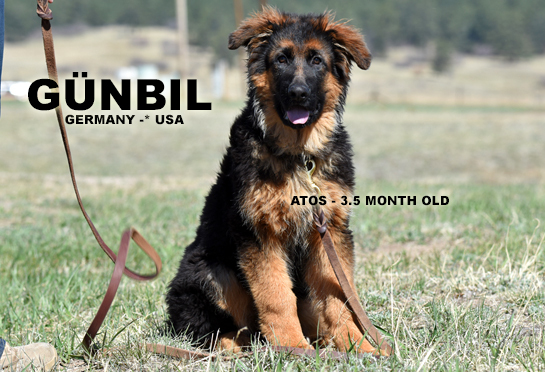 A SUPERIOR family dog, Loyal and loves children and plays well with other puppies. Should do well in any endeavor. Pedigree is consistent of multiple world champions, Grandson to SG1/VA1 Zamp vom thermodos (Twice World champion). 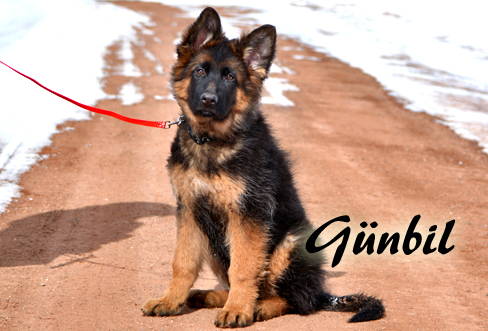 Your puppy come with a FIVE year "Genetic Health" & "Tempermant" Guarantee! Stella, is an excellent puppy with bold and ready to please attitude, would be an ideal dog for show, breeding and a superior quality family pet! Excellent healthy pedigree, absolutely correct type, stable nerves, sound temperament (Clear in the head) character. Very friendly puppy. She is familiar with walking up and down stairs, walking on tile, hardwood and carpet surfaces as well as going for car rides. Stella, loves children and plays well with other puppies. She is very intelligent and loves to please. She should do well in any endeavor. Pedigree is consistent of multiple world champions, Granddaughter of twice world champion SG1/VA1 Zamp vom thermodos (Twice World champion). 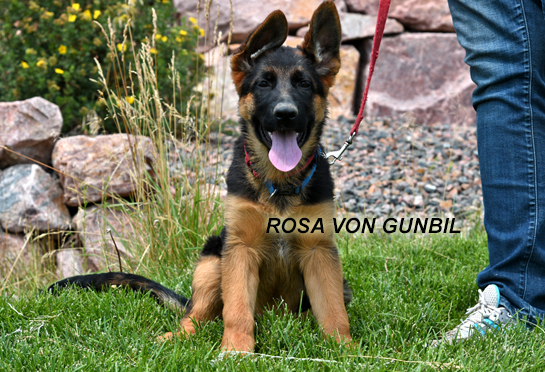 Rosa, is an ideal dog for show with very good drive and superior type! Excellent-Healthy-Powerful sought out pedigree, absolutely correct type and with stable nerves, sound temperament (clear in the head) character). Pedigree is consistent of multiple world champions, Granddaughter to SG1/VA1 Zamp vom thermodos (Twice World champion). Black and Red rich pigment. Absolutely "Clear in the Head", stable nerves, super temperament! Excellent with children and in home environment. Rosa,, should do "very" well in any endeavor and will excel in a family environment! Excellent natural ability to protect her family with stable nerves. Friendly nature, outgoing, self-assured, inteligent. A SUPERIOR family dog, Loyal and loves children! Rosa, is trained in a family home environment. 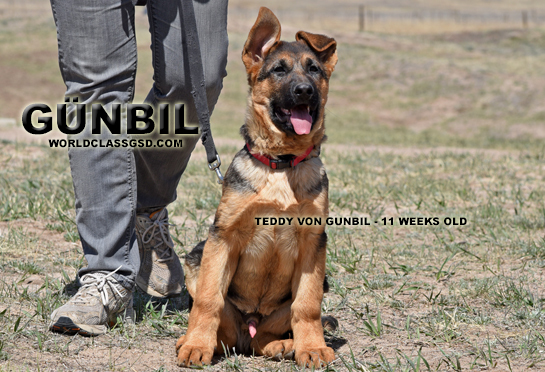 Potty trained (bell training), crate trained, does very well in basic obedience. Friendly to other dogs, including animals. Walks very well on a leash, up and down stairs, accustomed to tile, hardwood and carpet surfaces, enjoys car rides. Loves children and plays well with other puppies. Should do well in any endeavor. 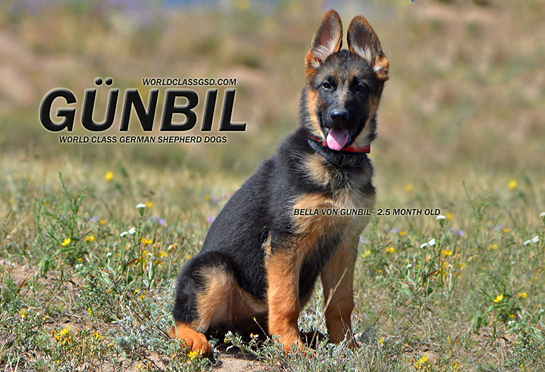 Your puppy come with a FIVE year "Genetic Health" & "Tempermant" Guarantee! Olaf, a gorgeous puppy with excellent anatomy. An ideal show and family dog with happy, self assured character and confident, playful attitude, a solid dog! Ready to PLAY and ready to PLEASE "a FYN dog"! 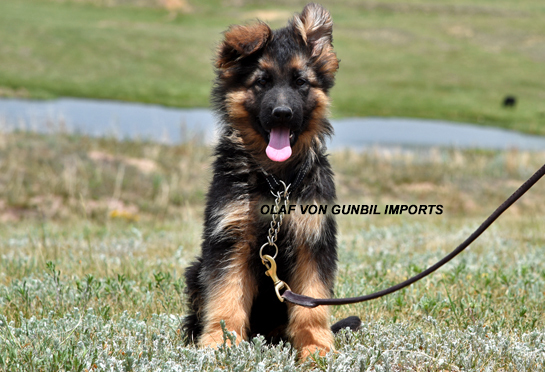 Olaf, is clear in the head, stable nerves with sound temperament, safe nature. He loves children and plays well with other puppies. 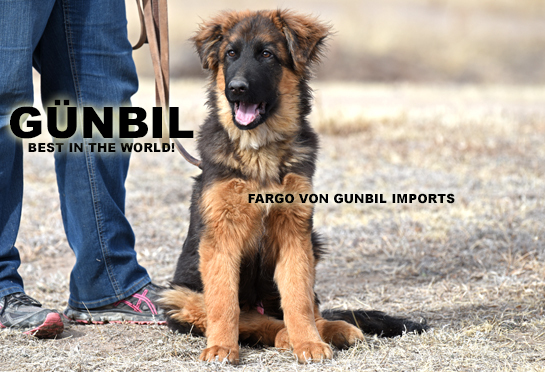 Very Healthy pedigree with world champion g-parents from Germany! Great natural ability to protect his family with solid prey drive. Excellent family dog! His father is fully titled and 4th ranked in the world! Grandson of SG1/VA1 Zamp vom thermodos (TWICE World champion 2004/2006). 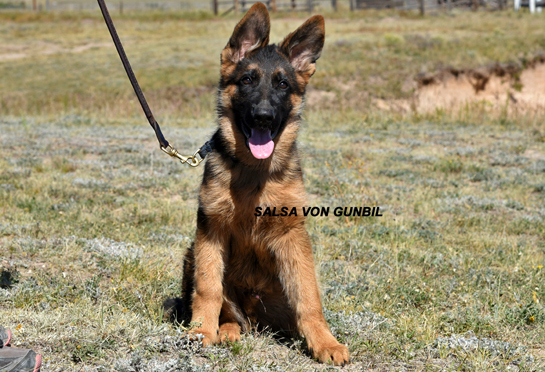 Also, Grandson of VA1 Remo vom Fichtenschlag (TWICE World champion 2011/2012). Olaf, is absolutely "Clear in the Head", stable nerves, super temperament! Excellent with children and in home environment. Great with other animals. Olaf, is trained in a family home environment. 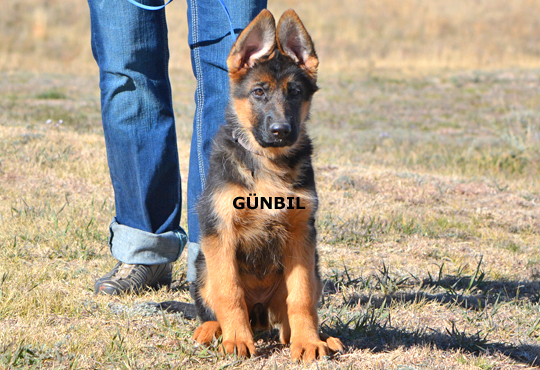 Potty trained (bell training), crate trained, does very well in basic obedience. Friendly to other dogs, including animals. Walks very well on a leash, up and down stairs, accustomed to tile, hardwood and carpet surfaces, enjoys car rides. Loves children and plays well with other puppies. Should do well in any endeavor. 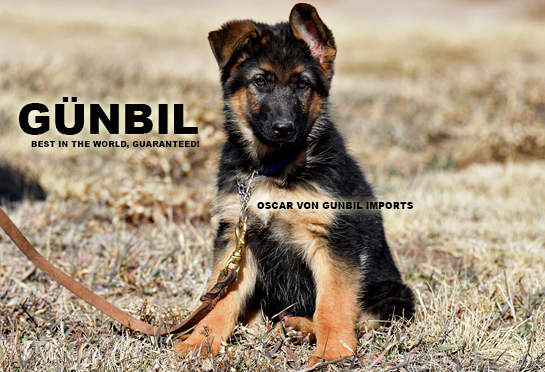 Your puppy come with a FIVE year "Genetic Health" & "Tempermant" Guarantee! Bella, is an ideal family "show" dog, with superior drive, absolutely correct type, bold, friendly, outgoing, confident and very smart with stable nerves, sound temperament (Clear in the head) character. Pedigree is consistent of multiple world champions, Granddaughter to SG1/VA1 Zamp vom thermodos (Twice World champion). She should do "very" well in any endeavor - and will excel in a family environment! Great natural ability to protect her family with solid prey drive. A SUPERIOR family dog, Loyal and loves children! Safe Nature. Bella, is trained in a family home environment. 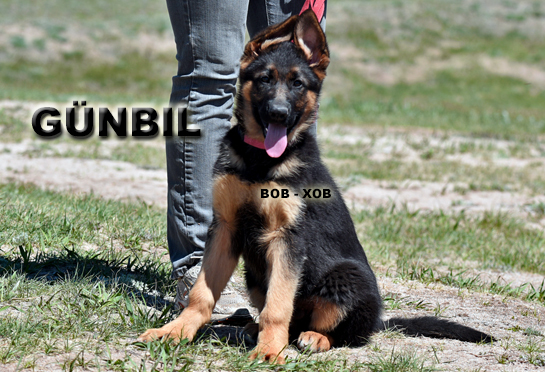 Potty trained (bell training), crate trained, does very well in basic obedience. Friendly to other dogs, including animals. Walks very well on a leash, up and down stairs, accustomed to tile, hardwood and carpet surfaces, enjoys car rides. Loves children and plays well with other puppies. Should do well in any endeavor. 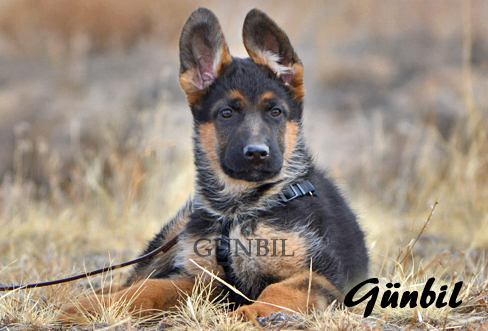 Your puppy come with a FIVE year "Genetic Health" & "Tempermant" Guarantee! 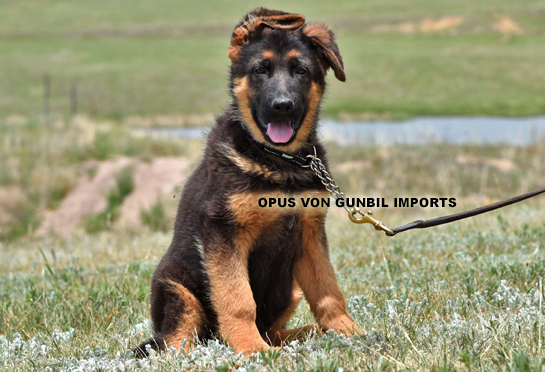 Opus, energetic, playful, fun puppy, aim to please, very good natural protective instinct for his family. Very good prey and play drive, a superior type, show qulaity male with world-class pedigree. Thick, masculine bone mass, strrong, stud like head with excellent and correct prononced mask, super color! His father is fully titled and 4th ranked in the world! Grandson of SG1/VA1 Zamp vom thermodos (TWICE World champion 2004/2006). 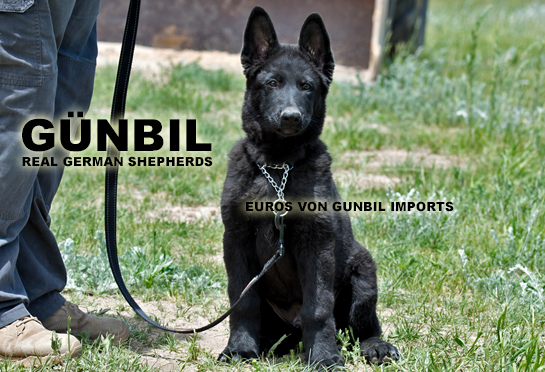 Also, Grandson of VA1 Remo vom Fichtenschlag (TWICE World champion 2011/2012). 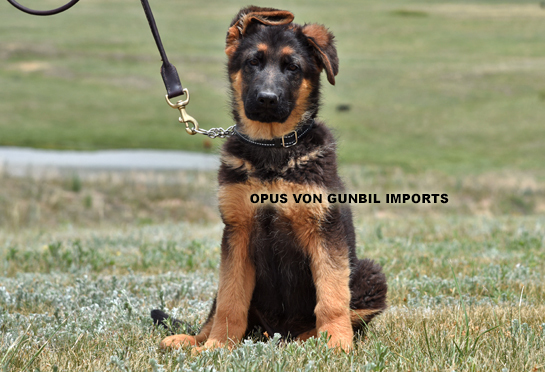 Opus, is absolutely "Clear in the Head", stable nerves, super temperament! Excellent with children and in home environment. Great with other animals. Opus, is trained in a family home environment. Potty trained (bell training), crate trained, does very well in basic obedience. Friendly to other dogs, including animals. Walks very well on a leash, up and down stairs, accustomed to tile, hardwood and carpet surfaces, enjoys car rides. Loves children and plays well with other puppies. Should do well in any endeavor. 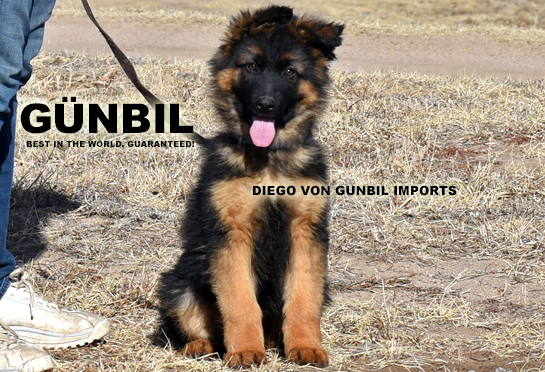 Your puppy come with a FIVE year "Genetic Health" & "Tempermant" Guarantee! 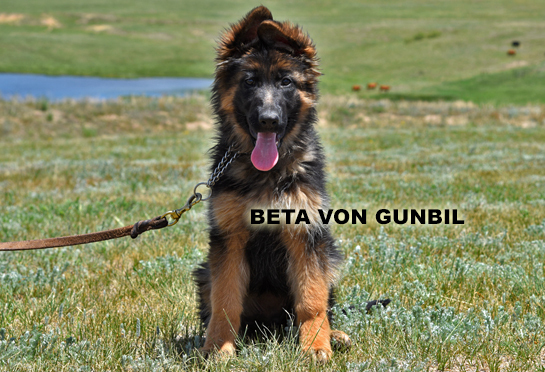 Beta, is an ideal dog for breeding and show, naturally a great family dog with excellent ability to protect her pack (family). Playful, fun, very pleasing character. Excellent prey and play drive, a superior type female with breeding quality pedigree and type. Super color! Thick BONE, strong head very correct anatomy for show/breeding. Granddaughter to SG1/VA1 Zamp vom thermodos (TwICE World champion). Black and Red rich pigment. Absolutely "Clear in the Head", stable nerves, super temperament! Excellent with children and in home environment. Great with other animals. 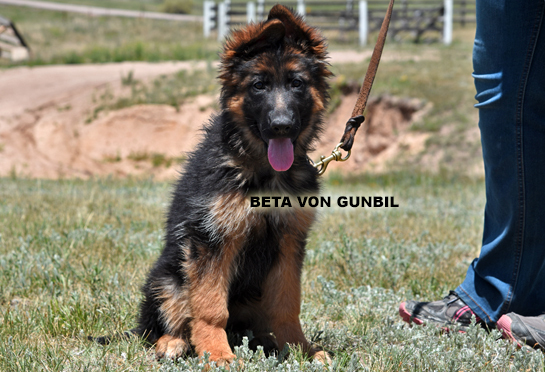 Beta, is trained in a family home environment. 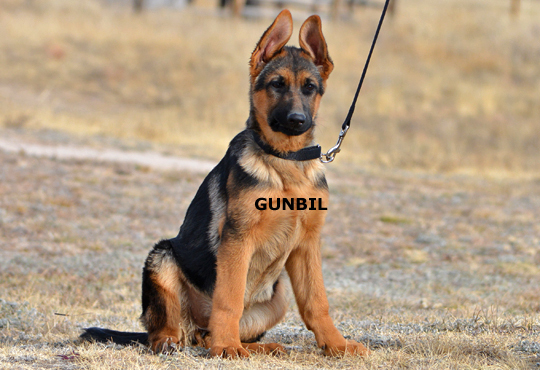 Potty trained (bell training), crate trained, does very well in basic obedience. Friendly to other dogs, including animals. Walks very well on a leash, up and down stairs, accustomed to tile, hardwood and carpet surfaces, enjoys car rides. Loves children and plays well with other puppies. Should do well in any endeavor. 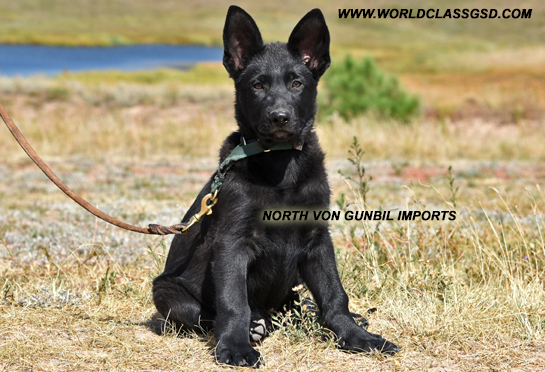 Your puppy come with a FIVE year "Genetic Health" & "Tempermant" Guarantee! 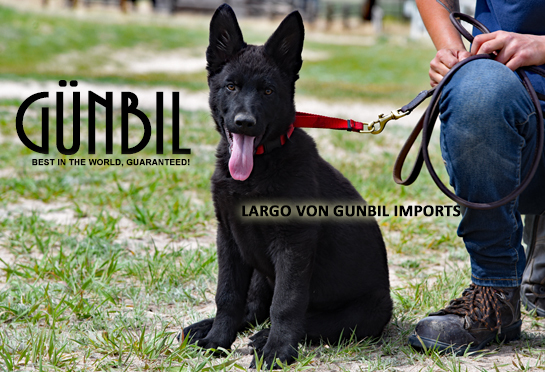 Largo, is a working line German Import puppy. Strong, powerful, masculine body structure, "thick" bone mass, spirited, ready to explore the world with you and everything in it! Excellent prey drive - excellent play drive. VERY confident and self assured with bold attitude, excels quickly at learning new things. Energetic, full of life. Loyal, shows excellent natural protective instincts to protect and guard his family, with stable nerves, safe in nature, clear in he head character. Largo, is trained in a family home environment. 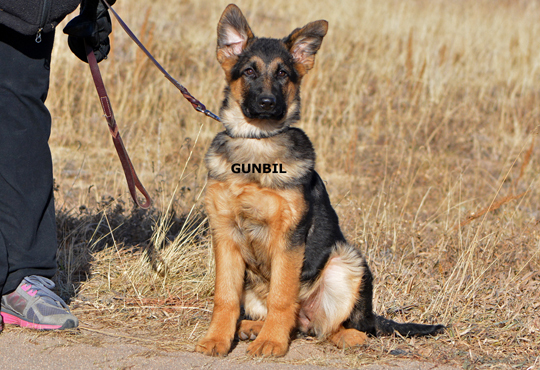 Potty trained (bell training), crate trained, does very well in basic obedience. Friendly to other dogs, including animals. Walks very well on a leash, up and down stairs, accustomed to tile, hardwood and carpet surfaces, enjoys car rides. Loves children and plays well with other puppies. Should do well in any endeavor. 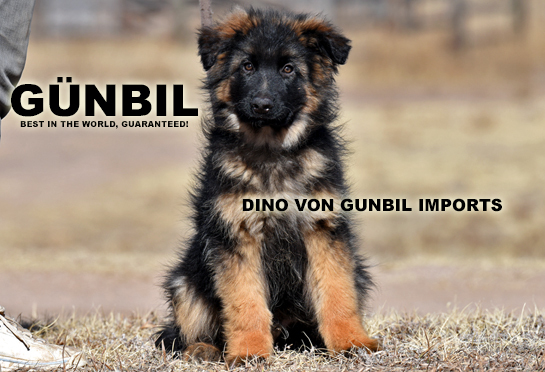 Your puppy come with a FIVE year "Genetic Health" & "Tempermant" Guarantee! Extra, excellent dog with bold and ready to please attitude, would be an ideal dog for show, breeding and a superior quality family pet! Excellent healthy pedigree, absolutely correct type, stable nerves, sound temperament (Clear in the head) character, self assured, playful, confident, sharp, very alert, fun and friendly dog, ready to please and ready to play attitude! Loves her family and naturally children - plays well with other puppies. Extra, is very intelligent, loves to impress her owner! World class, healthy pedigree with world champion parents and grandparents! She should do well in any endeavor - and will excell in a family environment! Great natural abilty to protect his family with solid prey drive. Excellent family dog! Extra, is trained in a family home environment. 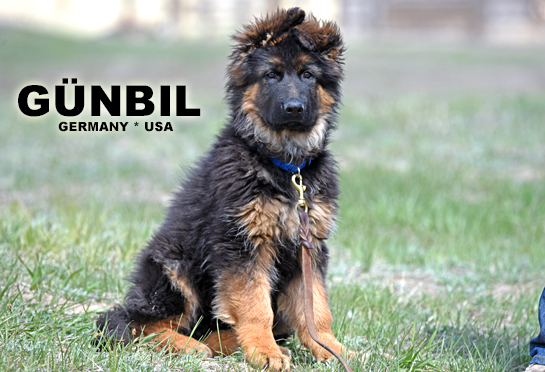 Potty trained (bell training), crate trained, does very well in basic obedience. Friendly to other dogs, including animals. Walks very well on a leash, up and down stairs, accustomed to tile, hardwood and carpet surfaces, enjoys car rides. Loves children and plays well with other puppies. Should do well in any endeavor. 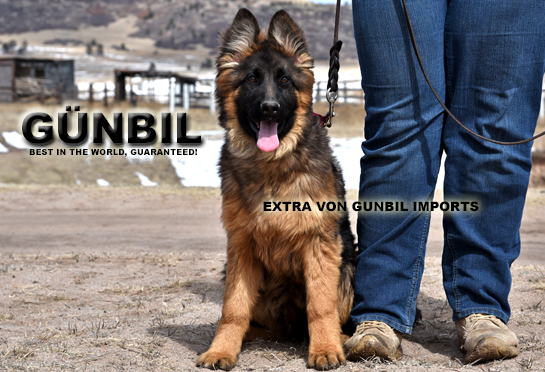 Your puppy come with a FIVE year "Genetic Health" & "Tempermant" Guarantee! 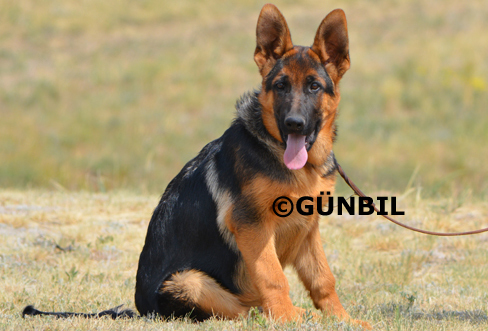 Dino, the son of World Champion SG1 Zitan vom Repitition (LSTH-JHKR) 2016. Also, the son of World Champion SG1 Mel-C (LSTH-JHKR) 2016. Both mom and dad a world champion! Truely a "World Champion Pedigree". Dino, is masculine, brave and courageous, fun and happy dog. Super pigment, pronounced mask wiht excellent body structure. 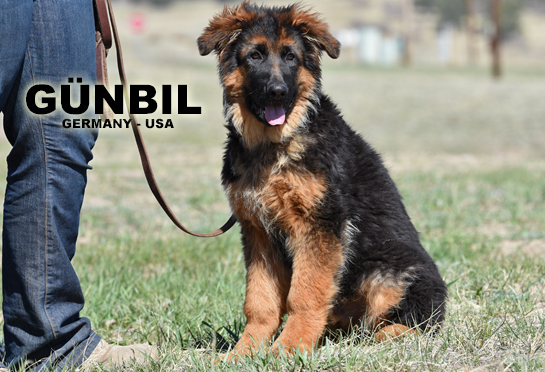 Excellent dog for show, breeding and naturally for family. Self-assured character, playful, "happy", affectionate behavior, ready to please and reay to play character! Very good natural ability for protection, - Absolutely "Clear in the Head", stable nerves, safe nature. Excellent with children and in home environment - Good with other animals. He should do well in any endeavor. World champion pedigree from both parents! Dino, is trained in a family home environment. He's fully potty trained (bell training), crate trained, does very well in his basic obedience. Friendly to other dogs, including animals. Walks verLSTH-JHKR) 2016.y well on a leash, up and down stairs, accustomed to tile, hardwood and carpet surfaces, enjoys going for car rides. Loves children and plays well with other puppies. He should do well in any endeavor. 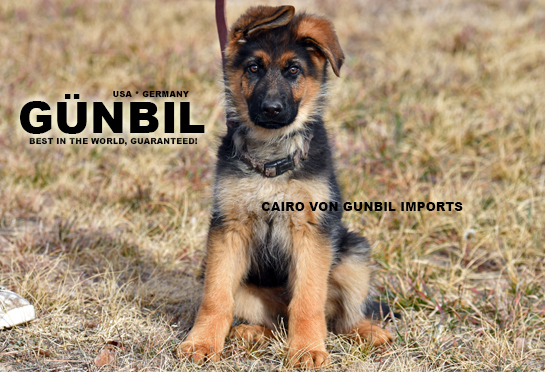 Your puppy come with a FIVE year "Genetic Health" & "Tempermant" Guarantee! Fargo, is an ideal family dog with excellent body structure, very good play and prey drive, correct anatomy (type), Super friendly, outgoing, mart with stable nerves, sound temperament (Clear in the head) very confident, self assured character, nicely pigmented, STUD type head, dark eyes, ready to please and ready to please attitude! He will excel in a family environment! Good natural ability to protect his family with good prey drive. A SUPERIOR family dog, Loyal and loves children! SafeNature. World champion pedigree from both parents! Fargo, is trained in a family home environment. He's fully potty trained (bell training), crate trained, does very well in his basic obedience. Friendly to other dogs, including animals. Walks very well on a leash, up and down stairs, accustomed to tile, hardwood and carpet surfaces, enjoys going for car rides. Loves children and plays well with other puppies. He should do well in any endeavor. 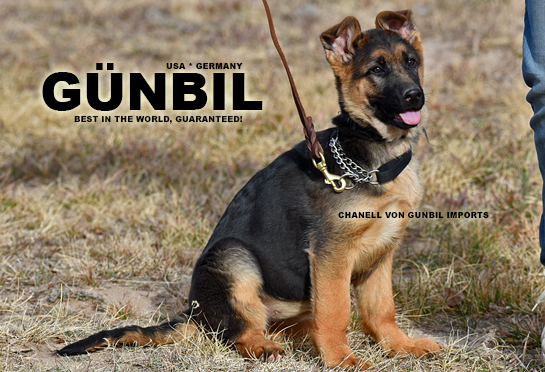 Your puppy come with a FIVE year "Genetic Health" & "Tempermant" Guarantee! 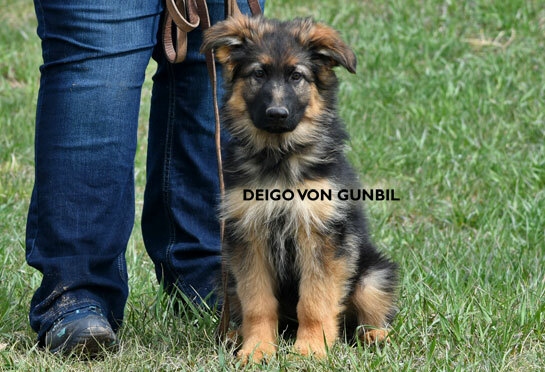 Diego, the son of World Champion SG1 Zitan vom Repitition (LSTH-JHKR) 2016. Also, the son of World Champion SG1 Mel-C (LSTH-JHKR) 2016. Both mom and dad a world champion! Truely a "World Champion Pedigree". Diego thick-strong bone mass, masculine, courageous, deep red pigment. 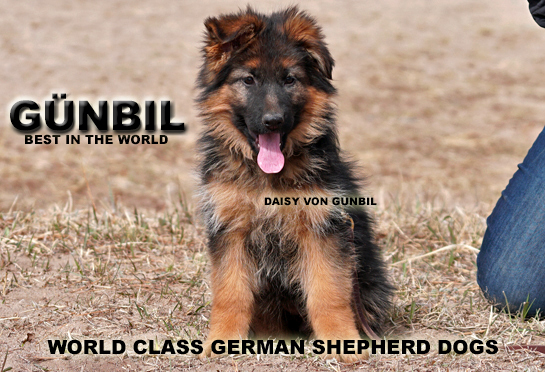 Excellent dog for show, breeding and naturally for family. Self-assured character, playful, "happy", affectionate behavior, ready to please and reay to play character! Superior natural ability for protection, very nice family protection dog if needed - Absolutely "Clear in the Head", stable nerves, safe nature. Excellent with children and in home environment - Good with other animals. He should do well in any endeavor. World champion pedigree from both parents! Diego, is trained in a family home environment. He's fully potty trained (bell training), crate trained, does very well in his basic obedience. Friendly to other dogs, including animals. Walks verLSTH-JHKR) 2016.y well on a leash, up and down stairs, accustomed to tile, hardwood and carpet surfaces, enjoys going for car rides. Loves children and plays well with other puppies. He should do well in any endeavor. 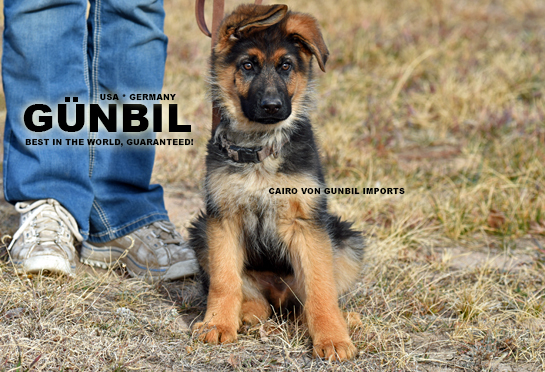 Your puppy come with a FIVE year "Genetic Health" & "Tempermant" Guarantee! Karlos, Exceptional, "MACHO" stud like head - excellenmt prey/play drive, "BLACK and RED" pigment, masculine, thick-strong bone mass, ideal dog for the show, breeding and naturally for family. Self-assured character, playful and affectionate behavior, ready to please and reay to play character! Superior natural ability for protection, very nice family protection dog if needed - Absolutely "Clear in the Head", stable nerves, safe nature. Excellent with children and in home environment - Good with other animals. He should do well in any endeavor. World champion pedigree from both parents! Karlos, is trained in a family home environment. He's fully potty trained (bell training), crate trained, does very well in his basic obedience. Friendly to other dogs, including animals. Walks very well on a leash, up and down stairs, accustomed to tile, hardwood and carpet surfaces, enjoys going for car rides. Loves children and plays well with other puppies. He should do well in any endeavor. 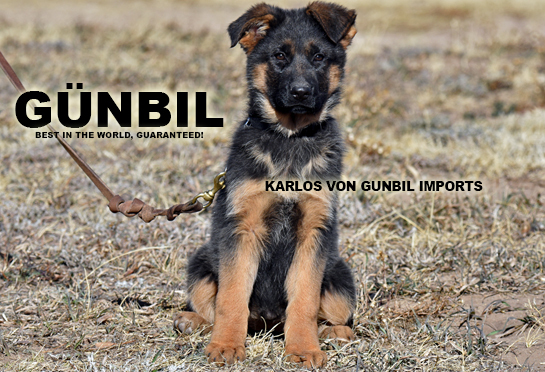 Your puppy come with a FIVE year "Genetic Health" & "Tempermant" Guarantee! Larus, the son of "World champion" (SG1 Pepe, 2016). Strong puppy, very correct anatomy, stud like head with excellent color! Extremely confident character, self assured, ALERT and brave puppy, clear in the head, stable nerves with sound temperament, safe nature. He loves children and plays well with other puppies. Very Healthy pedigree from both parents - Excellent natural ability to protect his family, ready to please ready to pal and explore attitude! World champion pedigree from both parents! LArus, is trained in a family home environment. He's fully potty trained (bell training), crate trained, does very well in his basic obedience. Friendly to other dogs, including animals. Walks very well on a leash, up and down stairs, accustomed to tile, hardwood and carpet surfaces, enjoys going for car rides. Loves children and plays well with other puppies. He should do well in any endeavor. Oscar, is an ideal family dog, strong, masculine body structure with excellent drive, correct type, friendly in nature, outgoing, confident, very smart with stable nerves, sound temperament (Clear in the head) character, incredible red pigment, Super massive head, dark eyes, ready to please and ready to please attitude! Pedigree is consistent of multiple "WORLD CHAMPIONS"! He will excel in a family environment! Good natural ability to protect his family with good prey drive. A SUPERIOR family dog, Loyal and loves children! Safe Nature. Oscar, is trained in a family home environment. He is fully potty trained (bell training), crate trained, does very well in his basic obedience. Friendly to other dogs, including animals. Walks very well on a leash, up and down stairs, accustomed to tile, hardwood and carpet surfaces, enjoys going for car rides. Loves children and plays well with other puppies. He should do well in any endeavor. Cairo, very confident, friendly, happy, playful with excellent prey drive! Excellent natural protective instinct , great expression, strong masculine body structure, correct type, with TOP "world class" pedigree, BIG-macho-head, mini-stud! -Black and Red rich pigment. Absolutely "Clear in the Head", stable nerves, safe nature. Excellent with children and in home environment - Great with other animals. Excellent with "children!! World champion pedigree from both parents! Cairo, is trained in a family home environment. He is fully potty trained (bell training), crate trained, does very well in his basic obedience. Friendly to other dogs, including animals. Walks very well on a leash, up and down stairs, accustomed to tile, hardwood and carpet surfaces, enjoys going for car rides. Loves children and plays well with other puppies. He should do well in any endeavor. 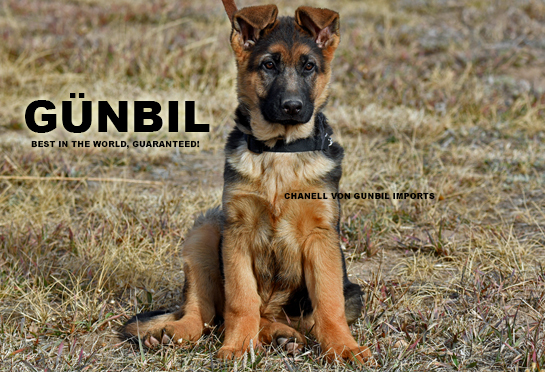 Chanel, is imported from Germany, an ideal dog for show/breeding with excellent drive, absolutely correct anatomically with prominent red pigment, friendly in nature, confident and self assured, friendly, fun and playful with aim to please character. Excellent natural protective instinct for her family, a superior type female (would be an ideal breeding female) with TOP breeding quality pedigree, strong and expresive, very desired type. Absolutely "Clear in the Head", stable nerves, safe nature. Excellent with children, great with other animals. Her G-father is VA1 Zamp vom Thermodos "world champion 2006"and his mother line G-Father VA1 Larus von Batu "World champion" ! Chanel, is trained in a family home environment. She's fully potty trained (bell training), crate trained, does very well in his basic obedience. Friendly to other dogs, including animals. Walks very well on a leash, up and down stairs, accustomed to tile, hardwood and carpet surfaces, enjoys going for car rides. Loves children and plays well with other puppies. She'll do very well in any endeavor. 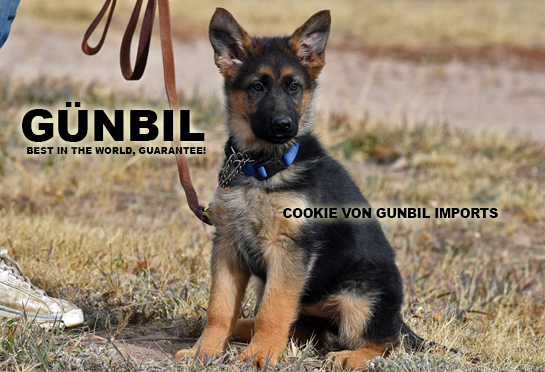 Cookie, is imported from Germany with an incredible pedigree from both parents! 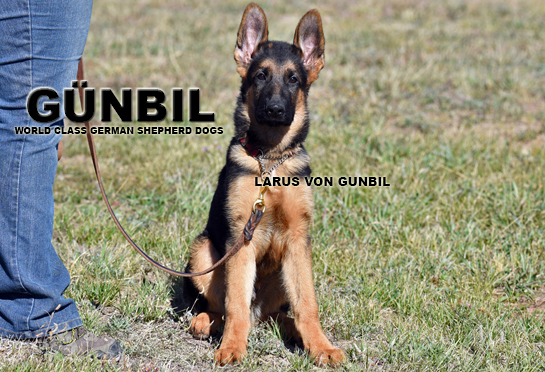 Her G-father is VA1 Zamp vom Thermodos "world champion 2006"and his mother line G-Father VA1 Larus von Batu "World champion" ! 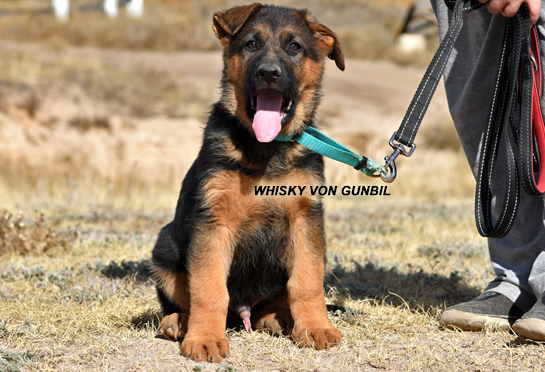 A puppy, super confident, friendly, fun and playful with aim to please character. 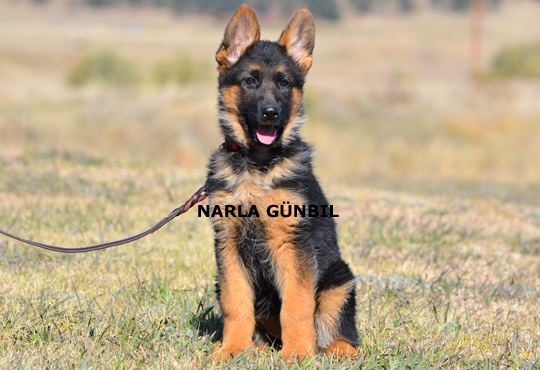 Excellent natural protective instinct , very good prey and play drive, a superior type female (would be an ideal breeding female) with TOP breeding quality pedigree, feminine and very expressive type. Black and Red rich pigment. Absolutely "Clear in the Head", stable nerves, safe nature. Excellent with children and in home environment - Great with other animals and loves children! Cookie, is trained in a family home environment. She's fully potty trained (bell training), crate trained, does very well in his basic obedience. Friendly to other dogs, including animals. Walks very well on a leash, up and down stairs, accustomed to tile, hardwood and carpet surfaces, enjoys going for car rides. Loves children and plays well with other puppies. She should do well in any endeavor. 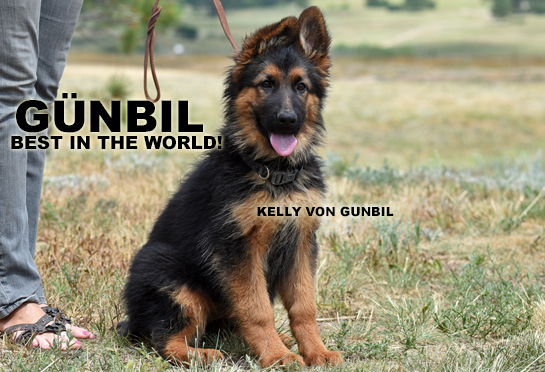 country origin World famous Gunbil Kennels, Colorado, USA! 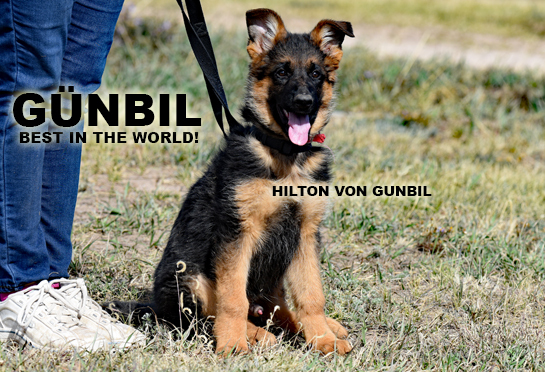 Hilton, the son of 2nd ranked in the world SG2 Ibero von Team Gunbil! Hilton has very correct anatomy, stud like head with excellent color! Extremely confident character, self assured, alert and very brave puppy, clear in the head, stable nerves with sound temperament, safe nature. He loves children and plays well with other puppies. Very Healthy pedigree from both parents - Very good natural ability to protect his family, ready to please ready to pal and explore attitude! World champion pedigree from both parents! Hilton, is trained in a family home environment. He's fully potty trained (bell training), crate trained, does very well in his basic obedience. Friendly to other dogs, including animals. Walks very well on a leash, up and down stairs, accustomed to tile, hardwood and carpet surfaces, enjoys going for car rides. Loves children and plays well with other puppies. He should do well in any endeavor. 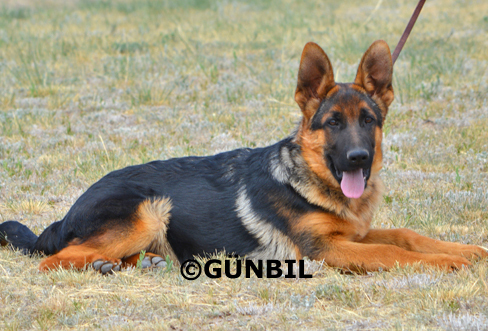 Lery, is the son of world champion SG1 Pepe vom Bordetal (2016 JKR/BSZS). Friendly, confident, with very healthy pedigree from both parents, very good prey and play drive - Excellent natural protective instinct for his family. Strong, masculine head, excellent color (Black and Red). Absolutely "Clear in the Head", stable nerves, safe nature. Excellent with children and in a home environment. Great with other animals. Lery, is trained in a family home environment. He's fully potty trained (bell training), crate trained, does very well in his basic obedience. Friendly to other dogs, including animals. Walks very well on a leash, up and down stairs, accustomed to tile, hardwood and carpet surfaces, enjoys going for car rides. Loves children and plays well with other puppies. He should do well in any endeavor. 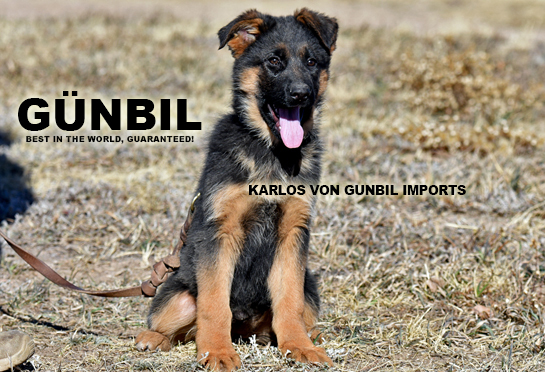 Leo, is imported from our Gunbil Kennels in Germany. Macho STUD-like BIG head, Very nicely pigmented, with strong bone mass, an ideal dog for the show ring, breeding and naturally for family. Leo, has self-assured character, confident, strong, playful and loving demeanor. A good natural ability to protect his family, ready to please ready to explore attitude! World champion pedigree from both parents! Leo, is trained in a family home environment. He's fully potty trained (bell training), crate trained, does very well in his basic obedience. Friendly to other dogs, including animals. Walks very well on a leash, up and down stairs, accustomed to tile, hardwood and carpet surfaces, enjoys going for car rides. Loves children and plays well with other puppies. He should do well in any endeavor. Saabat, has a correct anatomy, stud-like head with excellent color! 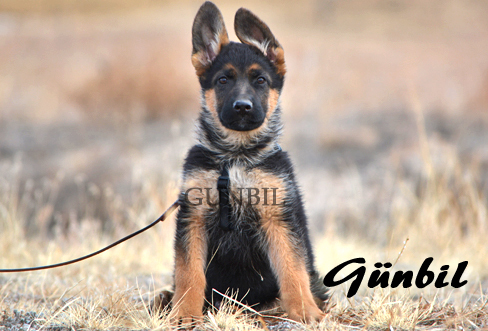 Confident character, self-assured, alert and very brave puppy. His mother is the WORLD CHAMPION in 2014 (SG1 Sina von der Weinbergsiedlung.) His father is 18th ranked in the world (2016). 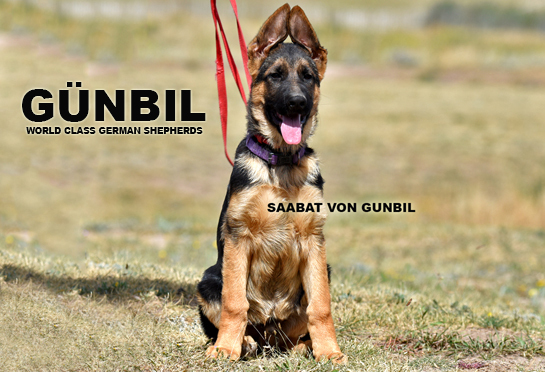 Saabat, likes to play and please his owner, fun puppy, very energetic, playful, full of life. He has had exposure to other dogs in a home setting as well as children. His been introduced to car rides and has been walking in town around traffic and stop lights. He will make a loyal family pet and a good guard dog if desired. Stud like head, very nicely pigmented, excellent self assured character, safe in nature. 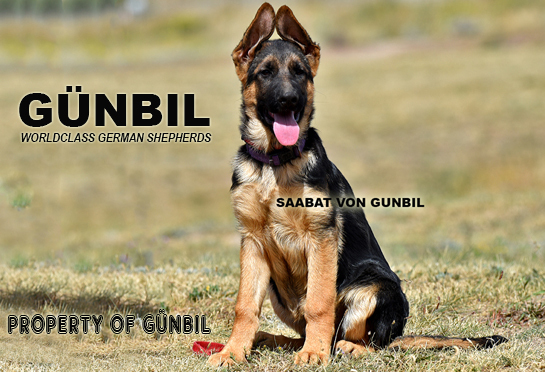 Saabat's, obedience training is very positive with great control and excellent focus, will excel at any job and do it with joy and confidence. 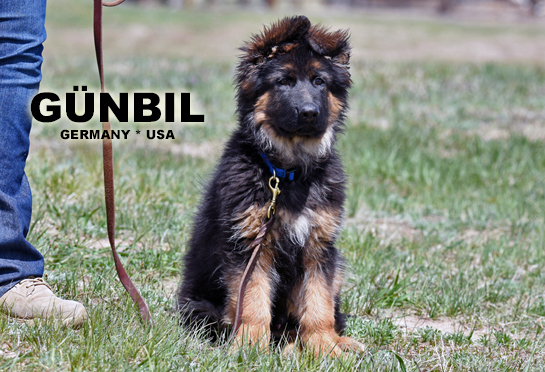 Status von Gunbil Kennels, USA! 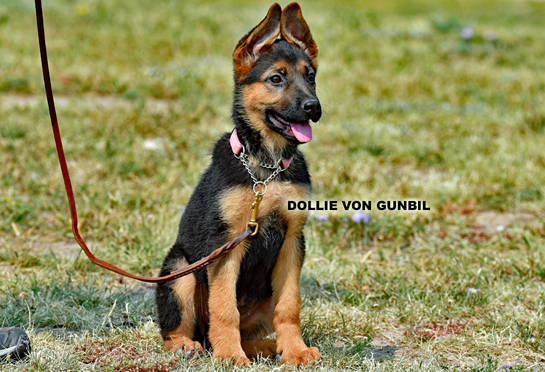 Dollie, is an ideal dog for the show ring, breeding, and naturally family. She has good drive with excellent alertness, exemplary anatomy, very correct in type, very expressive! Friendly nature, outgoing, confident, intelligent, stable nerves, sound temperament (Clear in the head) character. She has a natural ability to protect her family, excellent with other dogs, loyal, loves her family with ready to please ready to play attitude! Pedigree is consistent of multiple "WORLD CHAMPIONS"! Dollie, will do "very" well in any endeavor - Safe in Nature. 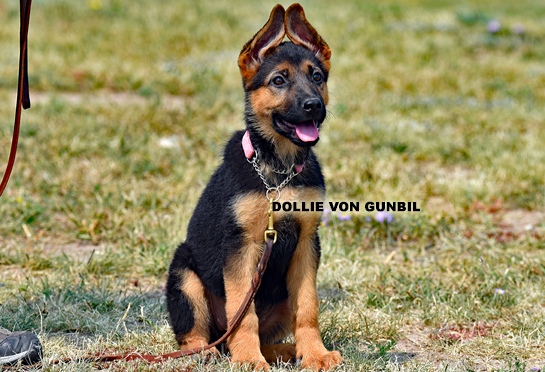 Dollie's, obedience training is very positive with great control and excellent focus, will excel at any job and do it with joy and confidence. Your trained puppies comes with a FIVE year guarantee! Kelly, is imported from our kennels in Germany! Very Healthy" pedigree from both parents! Her G-father is VA1 Zamp vom Thermodos "world champion 2006" Kelly, has excellent prey drive and play drive - Very confidnet, playful, happy and fun puppy with very good natural protective instinct for her family. Good head, super black and red color! Kelly, is an IDEAL dog for breeding, show and naturally family. Absolutely "Clear in the Head", stable nerves, super temperament! Excellent with children and in home environment. Great with other animals. Kelly's, obedience training is very positive with great control and excellent focus, will excel at any job and do it with joy and confidence. Your trained puppies comes with a FIVE year guarantee! 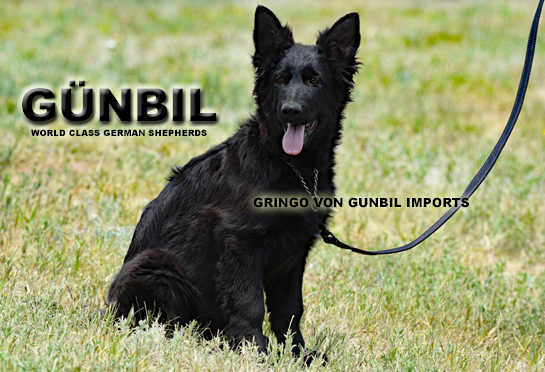 Gringo, is a working line "Pure Black German shepherd" Import puppy. He is strong, masculine with "thick" bone mass, powerful, ready to explore the world with you, excellent prey drive and good play drive. SUPER confident, self assured, bold, can-do attitude, excels quickly at learning new things. Energetic, full of life, he is ready to tackle any job, really! Loyal, shows excellent natural protective instincts to protect and guard his family. 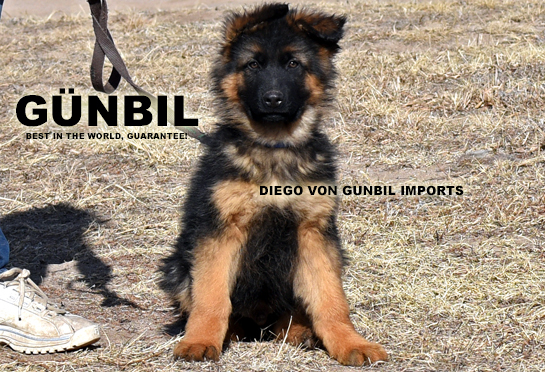 with stable nerves, safe in nature, clear in the head character, Gringo, loves children, plays well with other puppies. Very healthy pedigree with excellent health value! Very intelligent, loves to please, should do well in any endeavor. Gingo's, obedience training is very positive with great control and excellent focus, will excel at any job and do it with joy and confidence. Your trained puppies comes with a FIVE year guarantee! 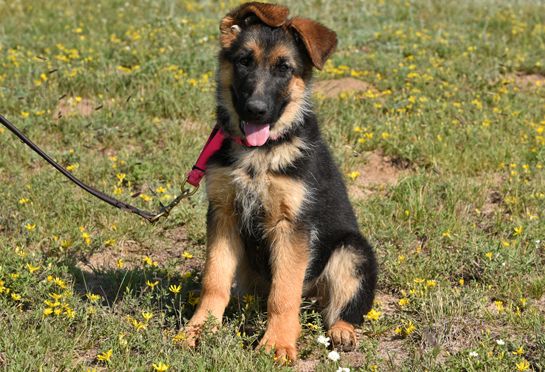 tinka, is imported from Germany with an incredible pedigree from both parents! Her G-father is VA1 Zamp vom Thermodos "world champion 2006"and his mother's father is VA1 Remo vom Fichtenschlag "TWICE - world champion 2011 and 2012" ! A very smart puppy - ready to move in with her NEW family. super friendly, confident, fun and playful with aim to please character. Very nice natural protective instinct , excellent prey and play drive, a superior type female (would be an ideal breeding female) with TOP breeding quality pedigree, feminine and very expressive type. Black and Red rich pigment. Absolutely "Clear in the Head", stable nerves, safe nature. Excellent with children and in home environment - Great with other animals. Your new puppy comes with a FIVE year guarantee. 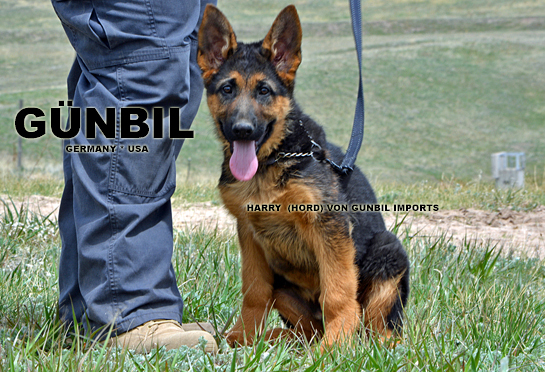 excellent puppy for SHOW, Breeding and naturally family protection! fully Obedience Trained, crate & Potty Trained - excellent social skills! 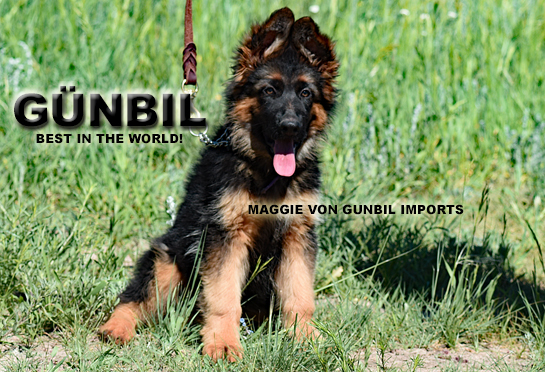 Maggie, (call name), an ideal dog for the show ring, breeding and excellent family "Protection". Excellent prey drive, very good play drive. Absolutely correct type, bold, confident, can-do-anything attiude, friendly, outgoing personality with stable nerves (solid nerves), sound temperament (Clear in the head) character, safe nature. Her Parents (both mother and father) are the current 2016 World Champions!! Pedigree is consistent of multiple "WORLD CHAMPIONS"! 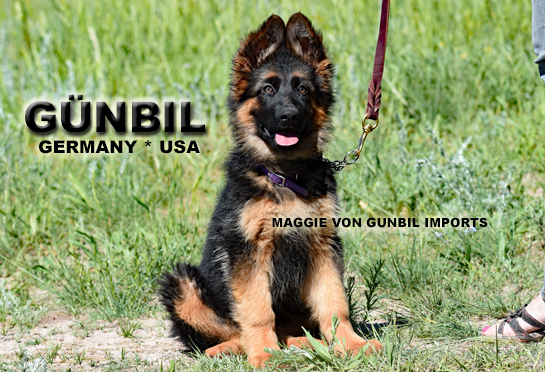 Maggie should do "very" well in any endeavor - and will excel in a family environment! Great natural ability to protect her family!! A SUPERIOR family dog, Loyal and loves children! maggie's obedience training is very positive with great control and excellent focus, will excel at any job and do it with joy and confidence. Your trained puppies comes with a FIVE year guarantee! Training Obedience Trained, crate & Potty Trained - excellent social skills! 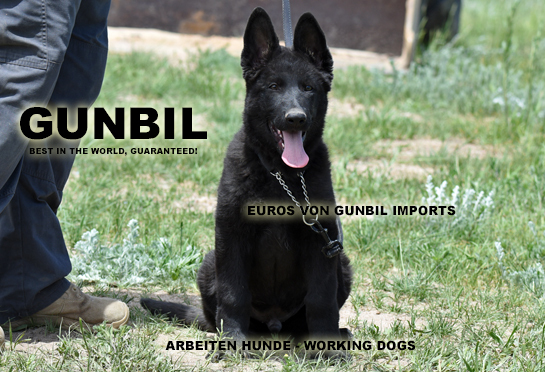 Euros, excellent bone mass, strong and masculine body structure, ideal working line German import puppy from Germany! Very cool dog! Alert, ready to hang out with you and your family. PURE BLACK, excellent prey and play drive. Very Confident, BRAVE dog, can-do anything attitude but let's chill out and enjoy the day character! Brave, SUPER FUN dog, naturally LOYAL, working dog that is kind and gentle, clear in the head with stable nerves , absolutely safe in nature! Euros, will do very well in any environment, will excell in all phases of training as he matures. Ideal dog for family with children and other dogs as well. Healthy pedigree, guaranteed! 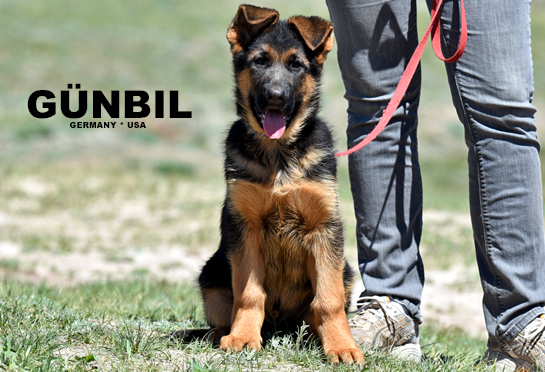 Euros, obedience training is very positive with great control and excellent focus, will excel at any job and do it with joy and confidence. Your trained puppies comes with a FIVE year guarantee! Major, will make a wonderfuL family dog. Excellent natural ability to protect his family. Outgoing personlity with fun and happy attitude. Very confident, self-assured, with excellent prey/play drive, with superior alertness, excellent protection abilty if needed! Will thrive in a family home environemnt. Major, loves children and plays well with other puppies. Very healthy pedigree with excellent health value! He's very intelligent, loves to please, should do well in any endeavor. Healthy pedigree, guaranteed! Major, obedience training is very positive with great control and excellent focus, will excel at any job and do it with joy and confidence. Your trained puppies comes with a FIVE year guarantee! Harry, Macho, stud type, strong, masculine with "excellent" bone mass, powerful, ready to explore the world with you, excellent prey and play drive. very confident puppy, self assured, bold, can-do attitude, excels quickly, energetic, full of life, he is ready to tackle any job. Loyal, shows excellent natural protective instincts to protect and guard his family. with stable nerves, safe nature, clear in he head character. Harry, a great dog for the show ring, sports and protection, the "STUD" dog, Loyal and loves children!. 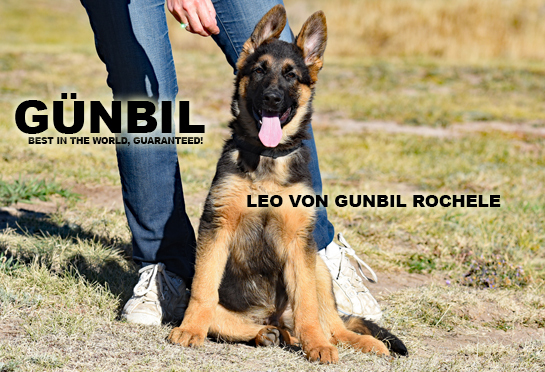 Excellent puppy for show, breeding and naturally family protection! Your trained puppies comes with a FIVE year guarantee! Atos, is exceptionally RED, correct anatomy and excellent protection instinct, self-assured character, confident, playful attitude, a strong dog! Atos, is clear in the head, stable nerves with sound temperament, safe nature. Loves to play and interact with his family. 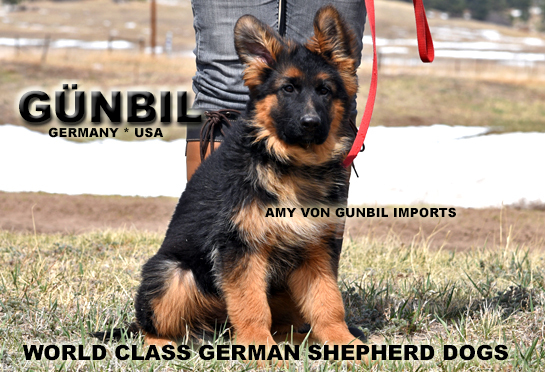 Healthy pedigree with world champion g-parent from Germany! A Fun DOG, loves to play and learn new adventures with "ready to please and ready to play attitude. Great natural ability to protect his family with solid prey drive. Healthy pedigree, guaranteed! Atos, obedience training is very positive with great control and excellent focus, will excel at any job and do it with joy and confidence. Your trained puppies comes with a FIVE year guarantee! Bob, correct in anatomy, stud like head with excellent color! Extremely confident character, self assured, alert, brave puppy. His G-father is TWICE WORLD CHAMPION (VA1 Zamp Thermodos) and grandfather is also TWICE WORLD CHAMPION (VA1 Vegas du Haut Mansard) Bob, likes to play and please his owner, fun puppy, very energetic, playful, full of life. He has had exposure to other dogs in a home setting as well as children. His bold attitude is demonstrated as he handles new experiences with confidence. He will make a loyal family pet and a good guard dog if desired. Stud like head, very nicely pigmented, excellent self assured character, safe in nature. Healthy pedigree, guaranteed! 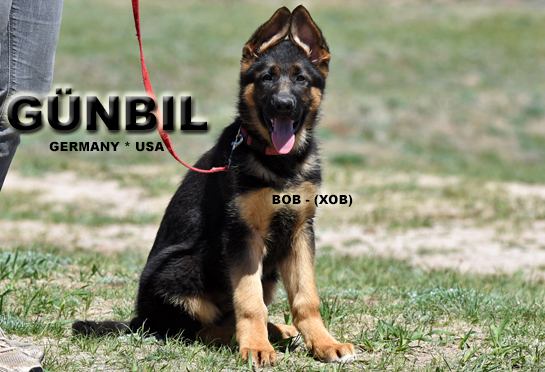 Bob, obedience training is very positive with great control and excellent focus, will excel at any job and do it with joy and confidence. Your new puppy comes with a FIVE year guarantee. fully Obedience Trained, crate & Potty Trained - excellent social skills! 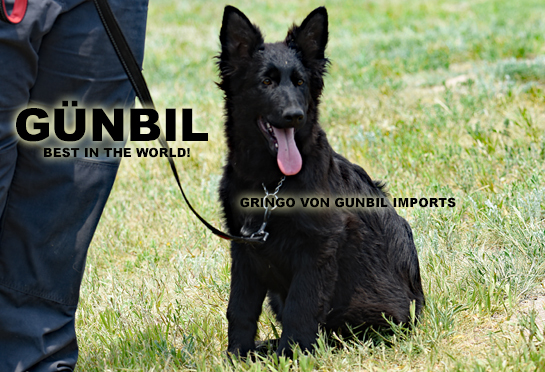 Zippo, is an ideal dog for the show ring, breeding and excellent family "Protection". Outstanding prey drive, very good play drive. Absolutely correct type, bold, confident, can-do-anything attiude, friendly, outgoing personality with stable nerves (solid nerves), sound temperament (Clear in the head) character, safe nature. Pedigree is consistent of multiple "WORLD CHAMPIONS"! 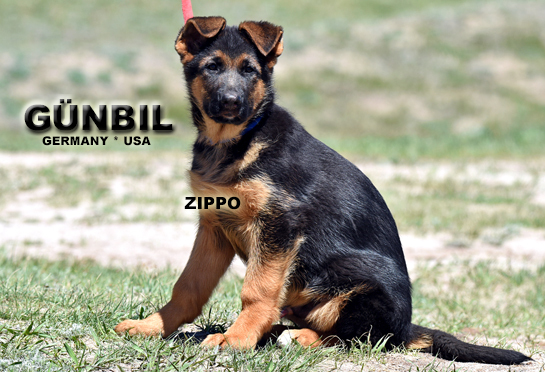 Zippo, should do "very" well in any endeavor - and will excel in a family environment! Great natural ability to protect his family!! A SUPERIOR family dog, Loyal and loves children! Safe Nature. Zippo, obedience training is very positive with great control and excellent focus, will excel at any job and do it with joy and confidence. Your new puppy comes with a FIVE year guarantee. fully Obedience Trained, crate & Potty Trained - excellent social skills! 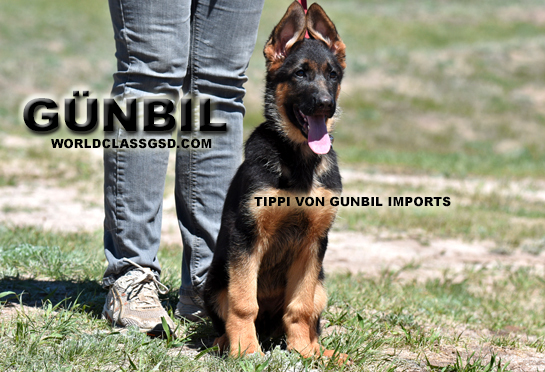 tiippi, is imported from Germany with an incredible pedigree from both parents! Her G-father is VA1 Zamp vom Thermodos "world champion 2006"and his mother's father is VA1 Vegas du Haut Mansard "TWICE - world champion 2011 and 2012" ! 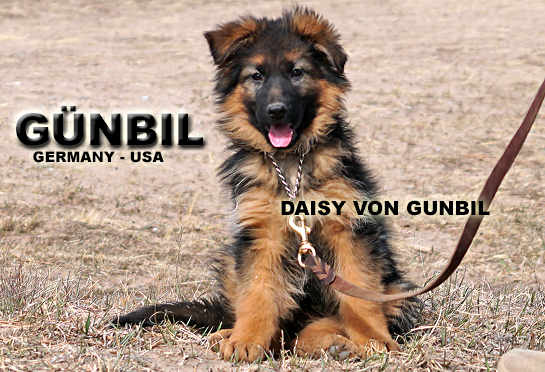 A very smart puppy, super friendly, confident, fun and playful with aim to please character. Very nice natural protective instinct , excellent prey and play drive, a superior type female (would be an ideal breeding female) with TOP breeding quality pedigree, feminine and very expressive type. Black and Red rich pigment. Absolutely "Clear in the Head", stable nerves, safe nature. Excellent with children and in home environment - Great with other animals. 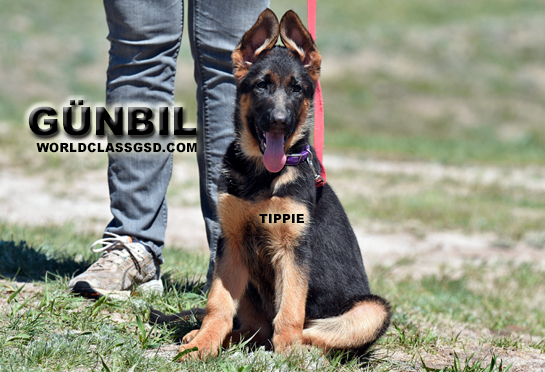 Tippi, obedience training is very positive with great control and excellent focus, will excel at any job and do it with joy and confidence. Your new puppy comes with a FIVE year guarantee. fully Obedience Trained, crate & Potty Trained - excellent social skills! 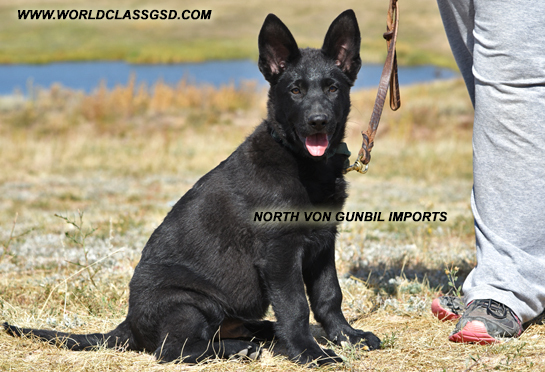 Wincent, "STUD LIKE HEAD" very good prey/play drive, excellent "BLACK and RED" pigment, thick-strong masculine body structure, ideal dog for the show, breeding and naturally for family. Self-assured character, playful and affectionate behavior, ready to please and ready to play character! Excellent natural ability for protection, He is fully potty trained (bell training), crate trained, he excels in his basic obedience. Friendly to other dogs and animals. 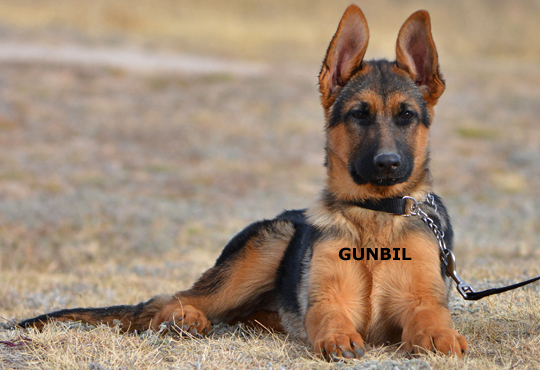 Very nice family protection dog if needed - He should do well in any endeavor. HEALTHY PEDIGREE, GUARANTEED! Wincent, obedience training is very positive with great control and excellent focus, will excel at any job and do it with joy and confidence. Your new puppy comes with a FIVE year guarantee. fully Obedience Trained, crate & Potty Trained - excellent social skills! Teddy, is a big puppy, excellent anatomy, nicely pigented black and red! Super confident character, self-assured, alert , brave with a ready to play ready to please attitude! An ideal show dog. Very good natural ability to protect his family. He is clear in the head, stable nerves with sound temperament, safe nature. He loves children and plays well with other puppies. 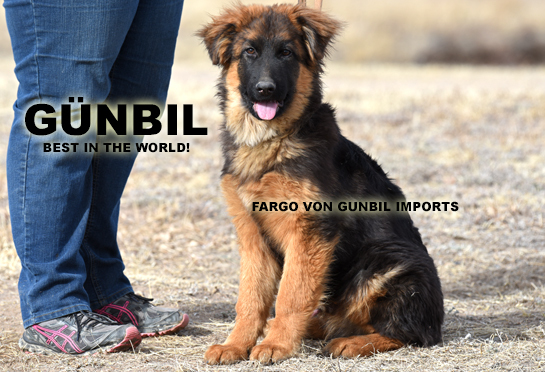 Very Healthy pedigree with world champion g-parents from Germany! Obedience training is very positive with great control and excellent focus. He'll excel at any job and do it with joy and confidence. Excellent natural ability to protect his family! Your puppy comes with a five year guarantee, Fully Obedience, Potty and Crate Trained. Socialized and Imprinted in a Family-Home Environment with Children and Other Dogs. 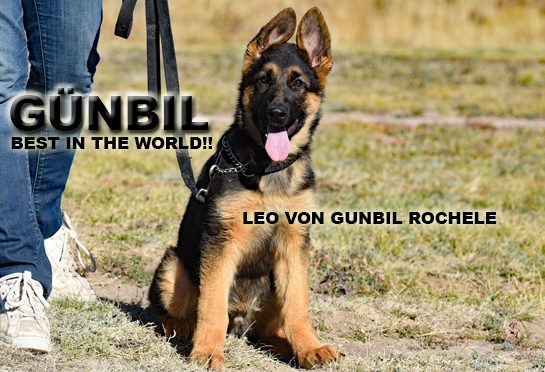 Status von Gunbil Rochele Kennels, Germany! 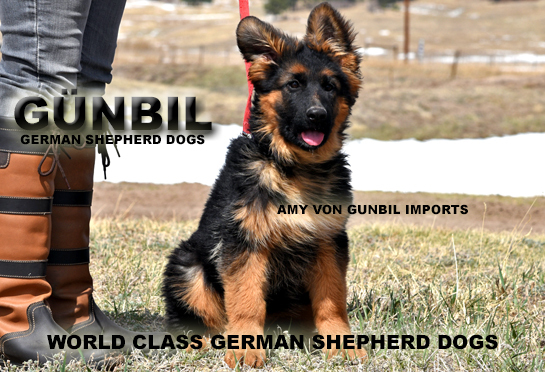 Amy, is imported from our Gunbil Kennels in Germany. Super alert, CONFIDENT with correct anatomy, Absolutley beautiful, excellent pigment Black and Red! Calm with superior assured character, strong masculine body type, Great with other animals, Loves children. will make a great family pet ,loyal and protective. Loves car rides, does very well in a heavily traffic areas. Very good with natural protective instinct as well! Pedigree is consistent of multiple "WORLD CHAMPIONS"! 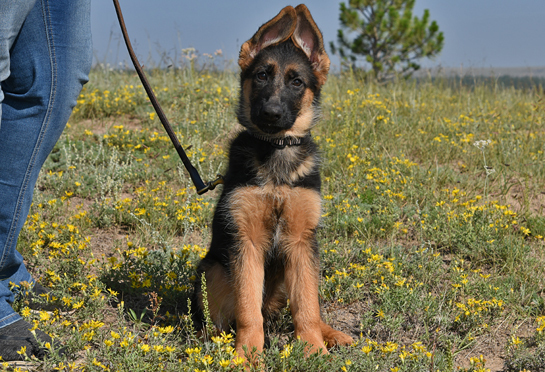 Obedience training is very positive with great control and excellent focus. Sehl'll excel at any job and do it with joy and confidence. Daisy, is an ideal family dog with excellent drive (play/prey), absolutely correct type, bold, friendly, outgoing, confident and very smart with stable nerves, sound temperament (Clear in the head) character. Her pedigree is consistent of multiple "WORLD CHAMPIONS"! She should do "very" well in any endeavor - and will excel in a family environment! Great natural ability to protect her family with solid prey drive. A SUPERIOR family dog, Loyal and loves children! Safe Nature. 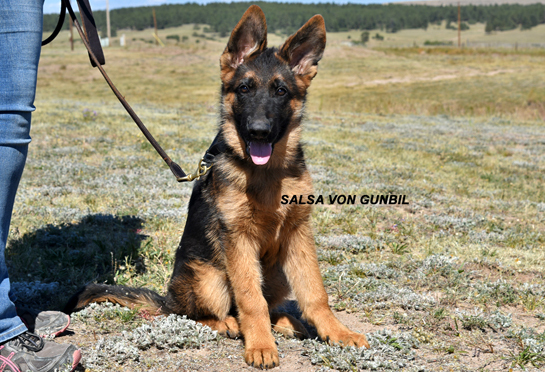 Her G-father is three times wolrd champion VA1 Fulz di Zenevredo (2014) and his G-Mother is Ranked 12th in the world VA12 Melci vom Messina (2012), Wow!. 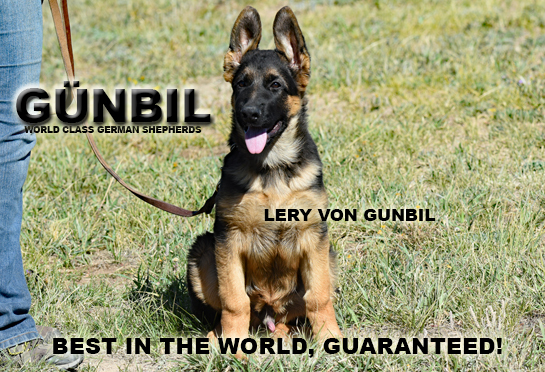 World Ranked and Fully titled G-parents, IPO3/SchH3, Excellent hips/elbows and super ZUGHT Value! 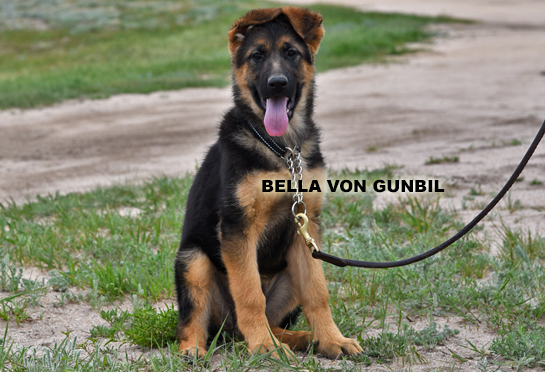 Bella, she is an ideal dog for show, breeding and naturally family and family protection, very sharp, super confident, fearless! She has strong, powerful drive, excellent alertness, exemplary type, very expressive! Friendly nature, outgoing, self-assured, intelligent, stable nerves, sound temperament (Clear in the head) character. Very good with other dogs, loyal, loves her family with ready to please ready to play attitude! Pedigree is consistent of multiple "WORLD CHAMPIONS"! Bella, will do "very" well in any endeavor - Safe in Nature. YOUR NEW PUPPY COMES WITH A FIVE YEAR GUARANTEE. 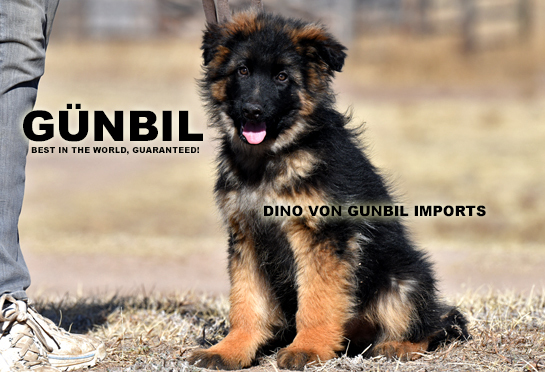 Excellent puppy for Protection and naturally Family. Fully Obedience trained, Potty trained, Crate Potty trained. Socialized and imprinted in a family-home environment with children and other dogs. Nexxus, energetic, playful, fun, aim to please, very nice natural protective instinct of her family. Excellent prey and play drive, a superior type female with breeding quality pedigree and type. Thick BONE, strong but feminine head, super color! 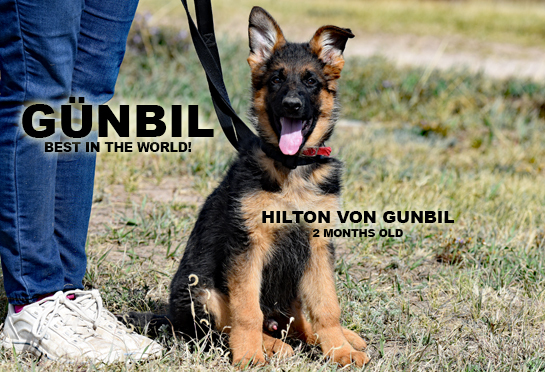 Her father is fully titled and imported from Germany - Ranked 44th in the world! Granddaughter to SG1/VA1 Zamp vom thermodos (TWICE World champion 2006). Black and Red rich pigment. Absolutely "Clear in the Head", stable nerves, super temperament! Excellent with children and in home environment. Great with other animals. 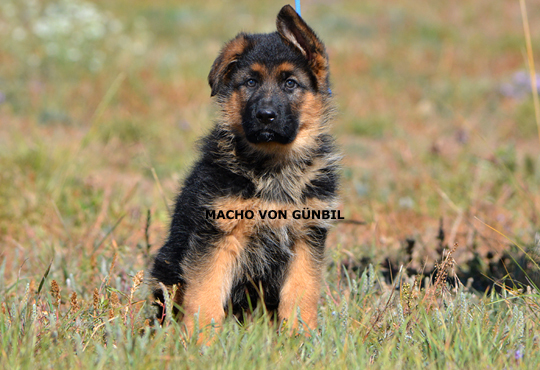 macho, is an ideal dog for the show ring, breeding and naturally family. 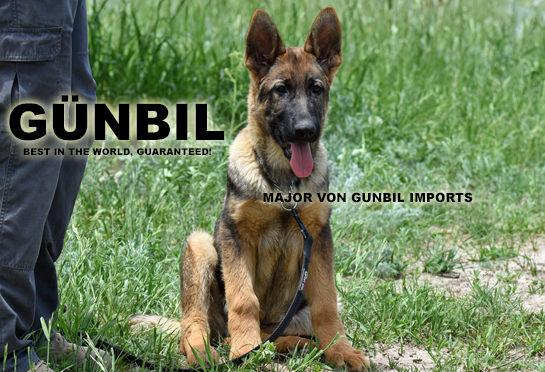 Very strong drive to PROTECT his family, excellent alertness, sharp and confident puppy with self-assured character! Examplary anatomy, ideal type, very expresive with straight coming and going gait. Friendly nature, outgoing, super inteligent, stable nerves, sound temperament (Clear in the head) character. Outstanding natural ability to protect his family, excellent with other dogs, loyal, with ready to please ready to play attitude! Pedigree is consistent of multiple "WORLD CHAMPIONS"! 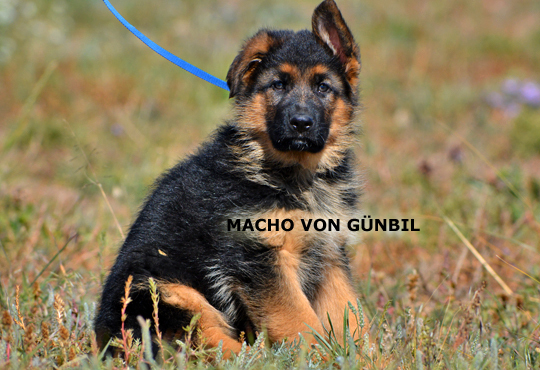 Macho, will make you proud with his apperance and overall type, will thrive in any endeavor - Safe in Nature. 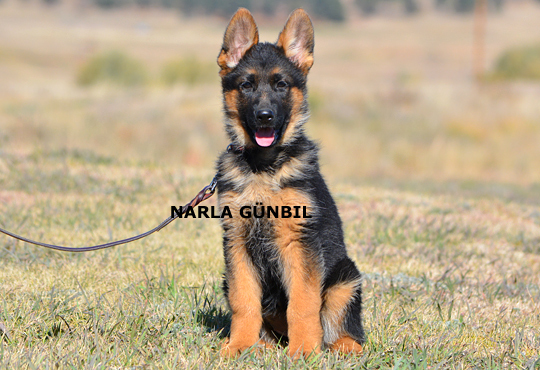 Narla, is an ideal dog for the show ring, breeding and naturally family. She has strong drive with excellent alertness, examplary anatomy, very correct in type, very expresive! Friendly nature, outgoing, confident, inteligent, stable nerves, sound temperament (Clear in the head) character. She has a natural ability to protect her family, excellent with other dogs, loyal, loves her family with ready to please ready to play attitude! Pedigree is consistent of multiple "WORLD CHAMPIONS"! Narla, will do "very" well in any endeavor - Safe in Nature. gypsy, is an ideal dog for protection (and family protection), she is super sharp and super confident, fearless! She has powerful drive, excellent alertness, exemplary type, very expressive! Friendly nature, outgoing, self-assured, intelligent, stable nerves, sound temperament (Clear in the head) character. Very good with other dogs, loyal, loves her family with ready to please ready to play attitude! Pedigree is consistent of multiple "WORLD CHAMPIONS"! gypsy, will do "very" well in any endeavor - Safe in Nature. mike, is imported from our German Kennels, with a SUPER, World Champion pedigree from both parents. Mike's father is the current World Champion (2013) his mother is 10th ranked in the world (2010)! His grandfather is theWord Champion (2010) (VA1 Ober von Bad-Boll) his mothers father is the World champion (2006) VA1 Zamp vom Thermodos and his G-Grandfather is the World Champion (2007) Pakros De Ulmental!! Mike is an excellent dog for family with outstanding play/prey drive, self assured, confidence and exceptional character to interact with humans, he will make a loyal family pet, a good guard dog if needed. Very nice male type head, SUPER color! 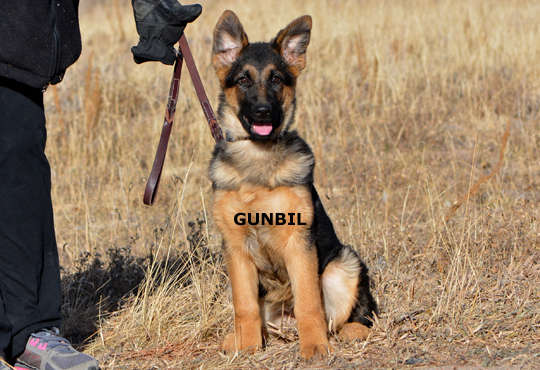 He is in obedience training and will complete his training at the end of July. He is great with other dogs as well. Your new puppy comes with a FIVE year guarantee. Excellent puppy for family. Crate & Potty Trained. Great natural ability to protect his family with solid prey drive. A SUPERIOR family dog, Loyal and loves children! Safe Nature. 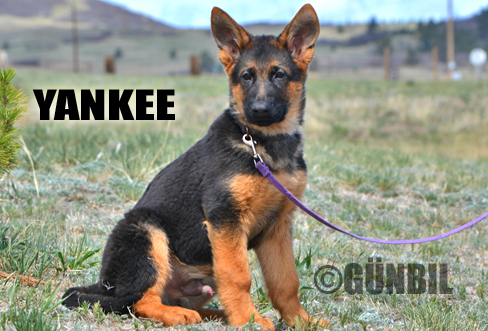 Yankee, (call name)is is imported from our kennels in Germany! Very bold, self assured strong puppy, masculine with "excellent" color and bone mass, powerful, ready to explore the world with you, excellent prey, play drive. Super confident, self assured, can-do attitude, excels quickly, energetic, full of life. Loyal, shows excellent natural protective instincts to protect and guard his family, with solid stable nerves, safe nature, clear in he head character. 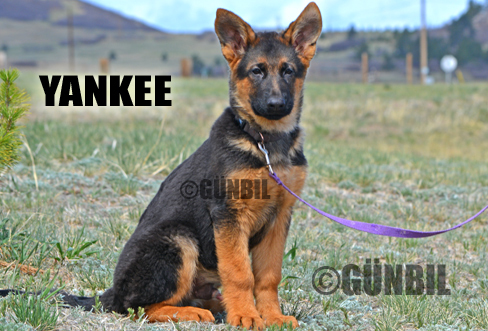 Yankee, is an ideal dog for active families and a great dog for the show ring, sports and protection, the "STUD" dog, Loyal and loves children! Your new puppy comes with a FIVE year guarantee. 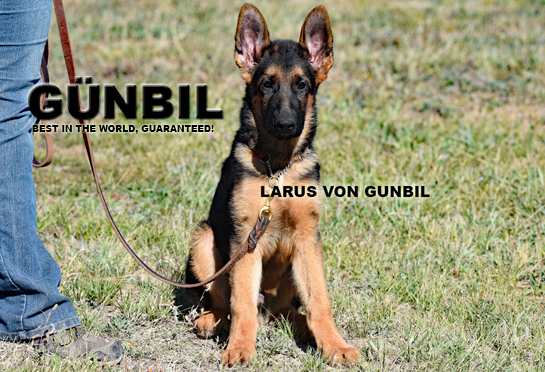 excellent puppy for SHOW, Breeding and naturally family protection! fully Obedience Trained, crate & Potty Trained, shipping is included in the price! PACCO, is absolutely correct in anatomy, stud like head with an "excellent mask" and over-all color! Super confident character, self-assured, alert and very brave puppy. 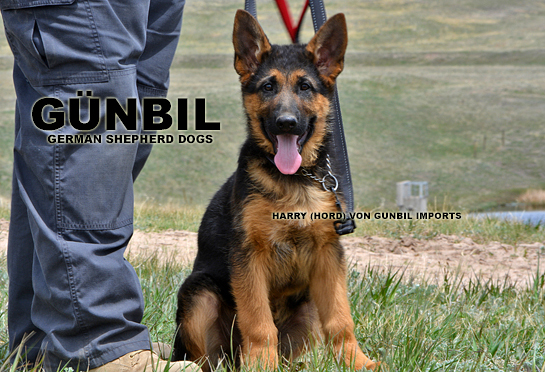 This is an ideal dog for the show ring and a future stud! He will also excel in protection work as well. PACCO, is powerful, fearless, ready to explore the world with you and everything in it. Ready to PLAY and ready to PLEASE attitude. He is fully potty trained (bell training), crate trained and does very well with his obedience training. He is clear in the head, stable nerves with sound temperament, safe nature. He loves children and plays well with other puppies. 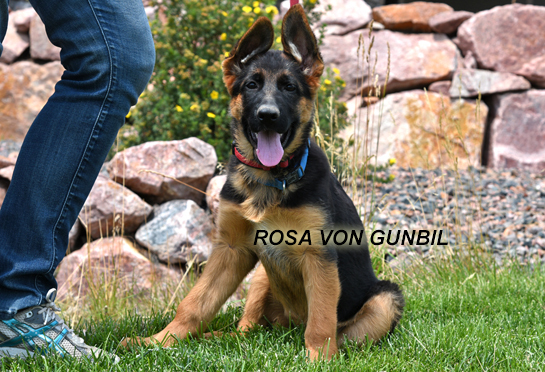 Very Healthy pedigree with world champion g-parents from Germany! Your new puppy comes with a FIVE year guarantee. 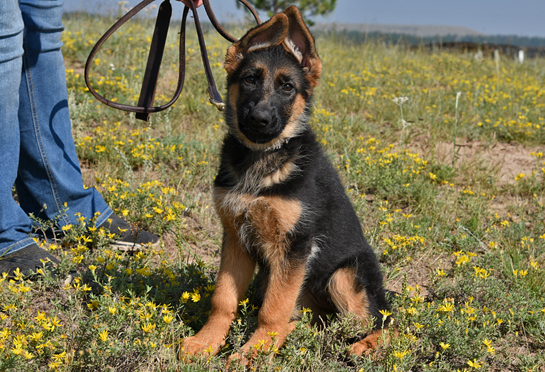 SHOW, BREEDING, PROTECTION AND NATURALLY FAMILY - FULLY TRAINED, crate & Potty Trained. 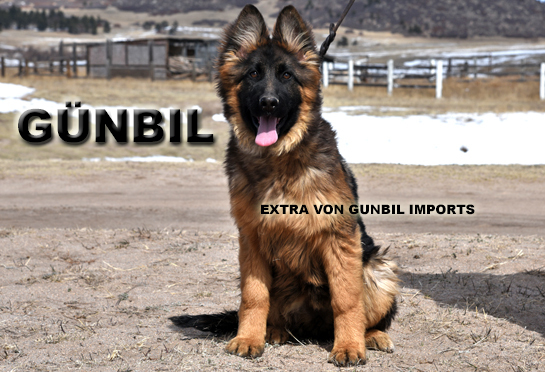 IMPORTED FROM GÜNBIL KENNELS IN GERMANY! 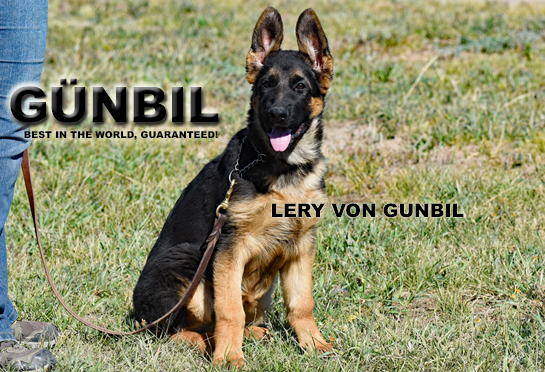 - FULLY TRAINED - EXCELLENT SHOW AND FAMILY DOG! 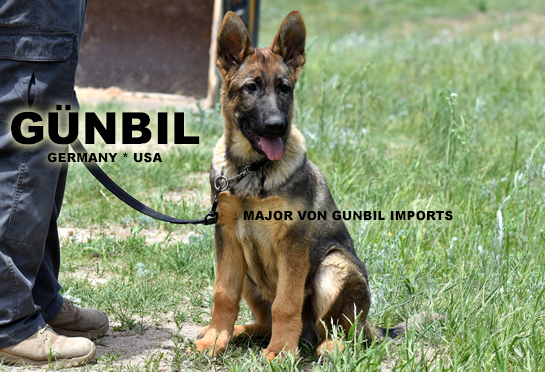 ILOY, is imported from our Gunbil Kennels in Germany. He is alert, CONFIDENT with correct anatomy, MEGA-POWERFUL HEAD, with excellent color - Black and Red! Calm with superior assured character, strong masculine body type, Great with other animals, Loves children. will make a great family pet ,loyal and protective. Loves car rides, does very well in a heavily traffic areas. Very good with natural protective instinct as well! Wow!!! What a HEAD! ILOY, will have his training fully completed by February 14, 2014. Your new puppy comes with a FIVE year guarantee. excellent puppy for family! Obedience Trained, crate & Potty Trained, shipping is included in the price!